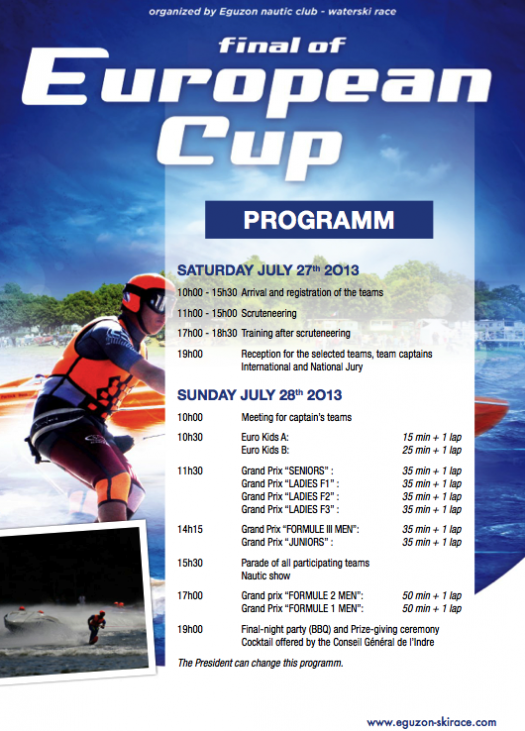 The programme for the 2013 Eguzon European Cup race in France has been updated and is available below. Team Germany Skiers Seniors Russell Cox & F1 Kurt Brooks are looking for a boat to ski the European ski race in Eguzon. Please email karen@skirace.net if you can accommodate either skier. Richard Hernaez has launched a brand new web site for the 2012 European Cup race in Eguzon France. Go to www.eguzon-skirace.com for the latest news on this great international event in he heart of France. 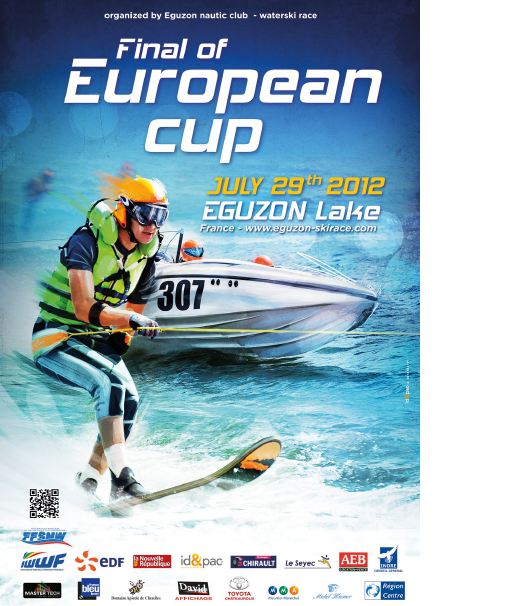 Click the poster below to download the 13-page programme for the 2012 European cup final water ski race at Eguzon in France. The 2012 European Cup race in Eguzon, France will take place on 29 July 2012. The organisers have just released the event poster and the web site www.eguzon-skirace.com will be updated in due course, with information about the 2012 weekend of racing. 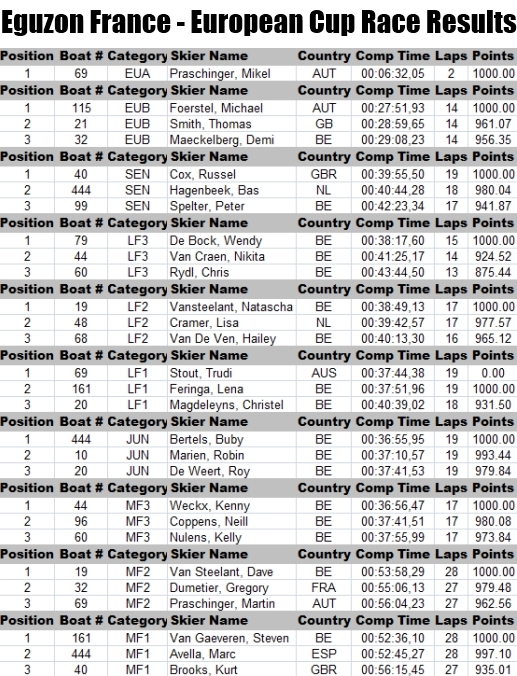 Thanks to Martine Ciroux here are the full results from this weekend’s racing at Eguzon in France. The River Danube Vienna Austria is host to the 1st round of the European Cup 2011. To get live news, updates and results from the race, follow @ScottBrooksy on Twitter. A promotional airfare is available for Europeans travelling to Brisbane. Cathay Pacific have a lead in air fare from £797.00 departing from London Heathrow. Vera Van den Bossche has provided the following invitation from Europe & Africa Racing Council Officials. Click on the link below to visit the photo album with shots from the final round of the European Cup in Eguzon, France. 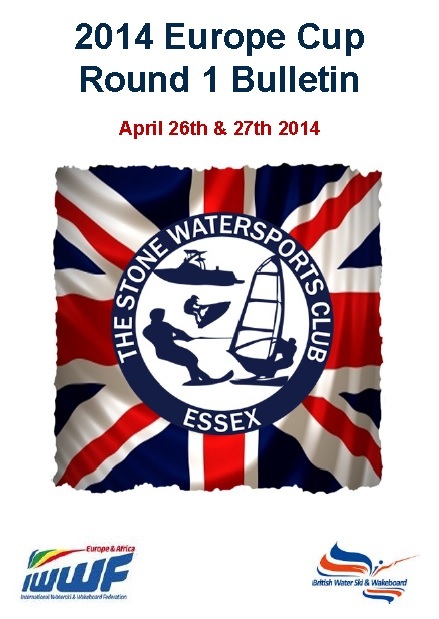 Russell Cox who won 3rd position in the 2010 Diamond Race Seniors is now looking for a fast boat for Eguzon. Aussie Chris Stout and American Cameron King clean up the Men’s F1 &2 at Eguzon in France. 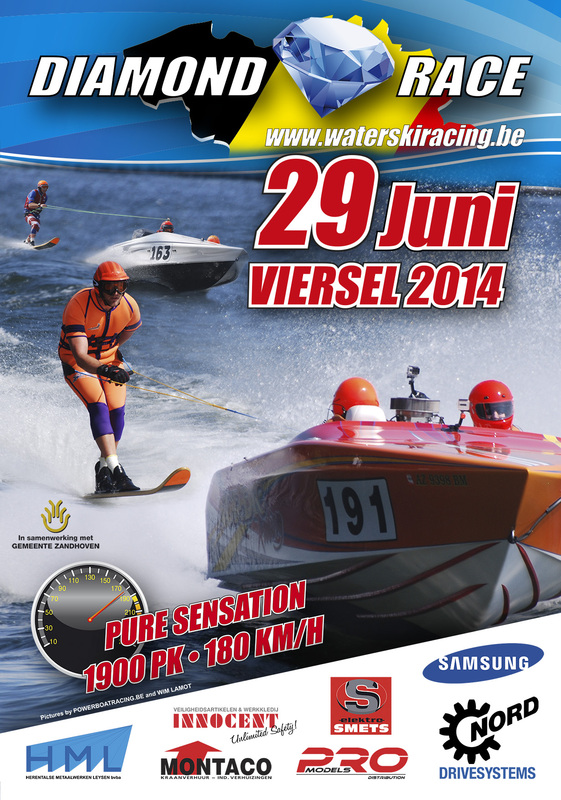 France will once again host an international water ski race in the country town of Eguzon. Last’s year’s event was a great success and the 2009 race promises to be even better. More news will follow in due course. The French Round of the 2008 European Cup took place on 24th of August and the results and press publishings are shown below.